A mighty and highly portable 15W all-tube head. 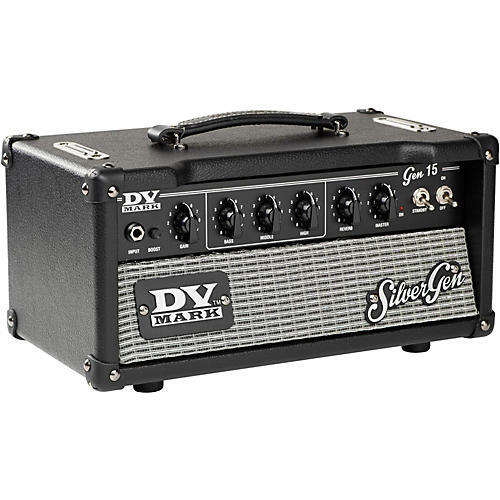 The DV Mark GEN 15 is an addictive 15W class A all-tube head from the company's new DV Mark Silver Generation Series, and the sound will charm you with its vintage personality and incredibly full tone, its versatility, feel and reliable performance. All-tube heads have always been heavy, but the DV GEN 15 allows you to get a killer tube tone at a fraction of the weight youd expect. It's ideal for recording, rehearsing, club gigs and more!